Is a Bali wedding legal (and valid in my home country) ? A very frequently asked question by couples wanting to get married in Bali is whether a wedding in Bali is legal and also recognized in their home country. The short answer to this is: YES, it is. But it does not necessarily need to be if you don’t want or require a legal marriage. Therefore, you may also opt to only hold a blessing ceremony or a vow renewal ceremony. Getting legally married in Bali is easier than you may think. Your wedding organizer will advise you on the details. I need to add that the procedure on how to make your wedding in Bali are similar for most nationalities but may vary slightly from country to country. For countries which do not have a consulate in Bali it may become a slightly more complicated because, for most nationalities getting legally married involves a visit to your home countries consulate or embassy. You will also need to have some paperwork ready when you come to Bali and your wedding organizer will guide you through the process. How to get legally married in Bali ? – the necessary paperwork. For any questions you may have please feel free to drop me an email as I would be glad to assist you. Hi i am Filipina and my partner is Australian just confuse if do I need to report our marriage to the Philippine embassy cause in Australia we don’t need it .. I am Moldavian and my future husband is Polish, can we get lmarried on Bali offically so that documents will bein power in Poland? We are Autralian citizen (both Christian) and thinking of getting married in Bali. How do I go in getting married in Bali and our marriage being recognize in Australia. We have in mind for our pastor from Australia to do the marriage ceremony in Bali for us is this possible. Whats the step I need to do.. appreciate your help. thank you , im tunisian muslim and im planning to get married in bali , my fiance is christian . can you advice me please how i can have legal marriage in bali ? and is it okay if we re from different religions? we have already replied to you via email and look fwd to working with you. I am neither Australian nor am I familiar with the laws in Australia. I suggest you contact the relevant authorities in Australia. Hello – fiance and i are both Christians and HK residents (while I hold a US passport as well). We are getting married in Bali – and later I will need to petition wife to the States. Could you please send me some info? Thanks! Thx. for being in touch. We have alrd emailed you the requested information. Pls. let us know if there is anything else we can be of assistance with. 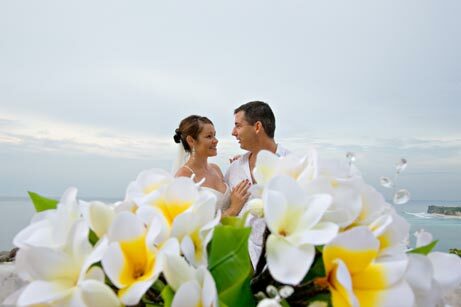 Do you need a wedding planner in Bali to organise the legal side of things or can I do it myself? yes you do need some sort of wedding company to help you with this. Sometimes the venue where you booked your wedding can help you also. Hi Bruce, I replied to you via email. Hope the info provided will help you to realize your dream wedding in Bali. I have just read that if you are marrying in Bali, then the couple must be of the same religion. Does this apply for all religions or just for Muslim? My partner is Christian and I am Catholic, so will this pose a problem? Yes basically both need to be of the same religion – however, like for most things in Indonesia there are ways around this and in most cases you can still get legally married even if you do not have the same religion… I am not able to publish details on this because it varies from case to case. I suggest you contact a reputable wedding company and they will advice you on this and help to make it all happen.